Well Lchaim Music has defiantly been busy these past few years. Compiling a list of Lchaim Tish’s from everything from Pesach to Chanukah, Purim to Yomim Norim and even Sfira. What could they possibly cover next? I guess the answer is CHABAD. Lchaim Tish is releasing its first ever Lchaim Tish Chabad album. 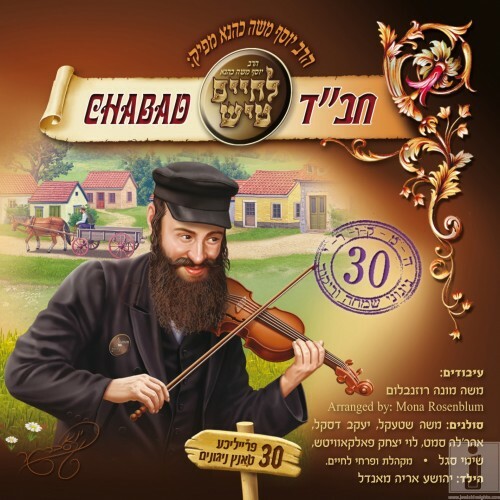 The album boasts 30 classic Chabad hits from over the years in only the way Lchaim can. Vocalists include Moshe Shtekel , Arele Samet, Yanky Daskal, Levi Falkowitz and yeled hapella Yeshua Mandel. You can hear the sampler below.